andregreipel.de/en | André Greipel fights ALS Disease. 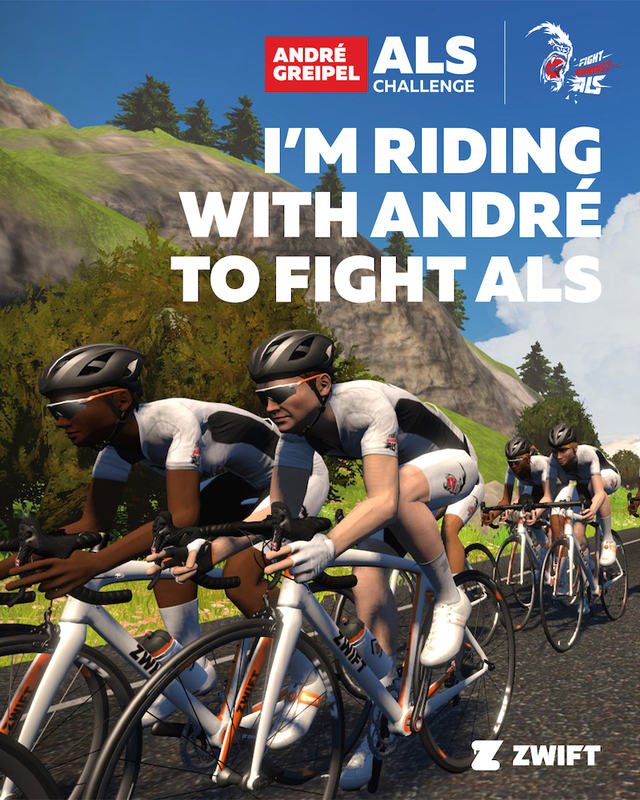 Join me and a lot of other ZWIFT user on February 10th as we ride together and raise funds for ALS research. We’ll have a group workout together with time to chat about the FIGHT AGAINST ALS, how to support and of course cycling as well. 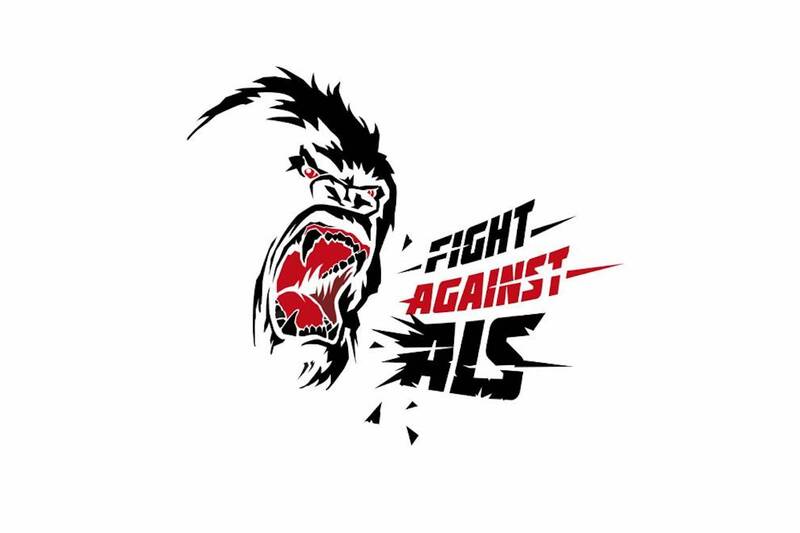 Those who complete the workout with me will unlock the in-game “Fight ALS” jersey. There are 2 possible events you can participate. DZNE – Deutsches Zentrum für Neurodegenerative Erkrankungen. WHEN DONATING THROUGH BANK TRANSFER TO THE DZNE e.V, A DONATION RECEIPT CAN BE ISSUED BY THE DZNE. IF YOU WANT A PROPER DONATION RECEIPT, PLEASE ADD THE NECESSARY INFORMATION (NAME / FIRST NAME / FULL ADDRESS) IN THE FIELD PURPOSE OF DONATION. IF YOU DONATE BY PAYPAL, PLEASE KEEP IN MIND, THAT I AM NOT AUTHORIZED TO ISSUE A DONATION RECEIPT. ALS (Lou Gehrig’s Disease) is short for amyotrophic lateral sclerosis. ALS affects nerve cells in the brain and the spinal cord. Eventually, patients cannot control their muscles. They become paralyzed. Most patients will die within five years after after diagnosis. My mother was also diagnosed with this incurable disease. Therefore, it is a very personal concern for me to advance the research of ALS. Only together, we can accelerate ALS research. Please support us with your donation. At the moment we support the financing of a research study at the DZNE e.V. (German Center for Neurodegenerative Diseases). The study is on „Cognition in ALS correlated with metabolic activity as measured by FDG-PET: a longitudinal study“.The study is supervised by Prof. Dr. Prudlo and his team. 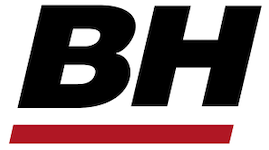 Over a period of three years the study will examine ALS patients for their higher brain functions (cognition) and their behavior. The donations that are generated through this campaign go entirely to the ALS research. In addition to his work for DZNE e.V., Prof. Dr. Prudlo works as a senior physician at the Neurological Clinic of the University of Rostock and treats my mother and other ALS patients there. 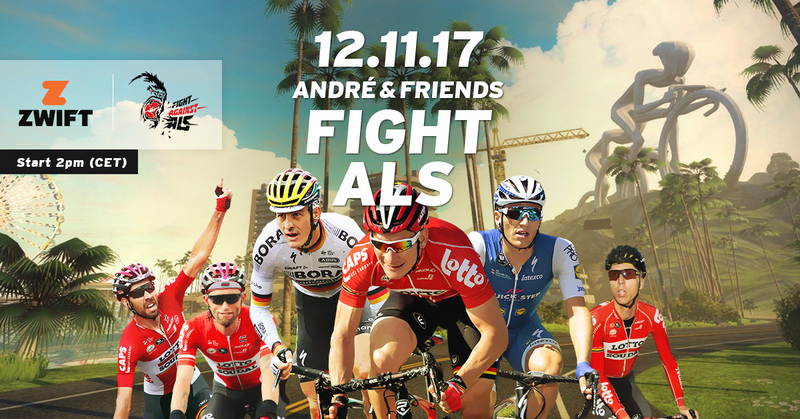 If you wan to know more about the work of Prof. Dr. Prudlo and his colleagues, please check out the website of DZNE e.V..
On this uniqueZWIFT Charity Tour on 12.11.2017 cyclists from all over the world went to the virtual start to raise money for the ALS research. This was our team of professional team mates who were there as guides in each group. 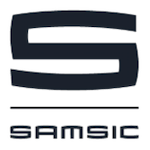 Here you can see the film for the application of the event – Thanks to Zwift.